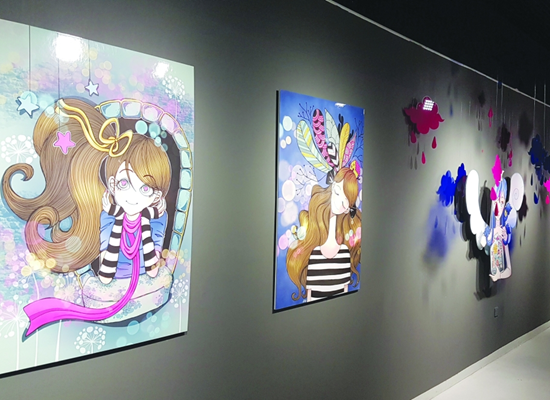 The growing popularity of Japanese anime (animations) and cartoons is making Qatar’s art scene even more vibrant, creating a huge community of artists, cosplayers and enthusiasts, a number of Qatari artists have said. “The community is big. 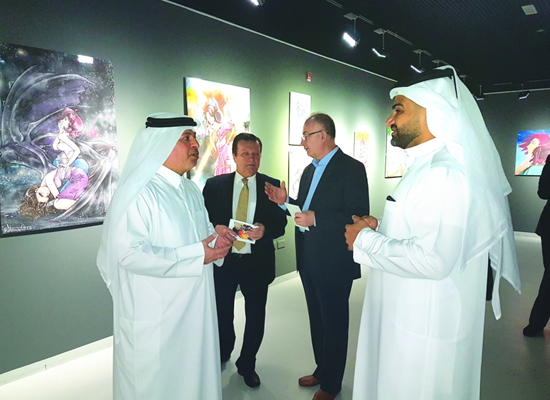 Ajyal (Film Festival) runs the Geekdom every year and it has a lot of people that are interested in fine arts, and anime production has gone up in the market,” artist Abdulaziz Yousef told reporters at the opening of ‘Colour Bar’ exhibition at Katara – the Cultural Village recently. Yousef joins five other Qatari artists – Kholoud al-Ali, Aisha al-Khulaify, Mohamed al-Sharif, Fatima al-Nisf and Hamad al-Mataowa – in showcasing their works at the exhibition, which runs until August 28 at Building 19. Besides creating short anime movies, Yousef disclosed that people from Qatar are travelling around the world to participate in various events, “which specifically celebrate anime”. 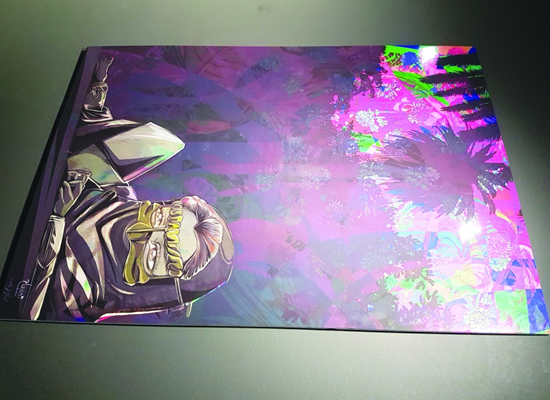 “The awareness and the community itself are going bigger than what we all think,” added the artist, who also takes part in several anime conferences across the globe. Like other Qatari artists who are passionate about anime and manga (comics), he also had the opportunity to visit Japan and many of the anime studios there. Yousef said he was lucky to produce his first anime film in Japan, along with a number of Japanese artists. “Currently I am working on an anime film in India, so it is a very big mixture of journey that I have been through in the past 15 years,” he stressed. Al-Ali also shares the same experience saying a lot of people in Qatar are watching anime and gather to form art clubs and collectors’ groups. Some organise cosplays at several activities and events. Katara deputy manager Ahmed al-Sayed speaks to Qatari artist Abdulaziz Yousef (right) at the exhibition. Anime inspires Qatari artists to create own characters, portraying their culture and heritage. Hamad al-Mataowa’s work on display at the ‘Colour Bar’ exhibition at Katara – the Cultural Village. She said her generation witnessed the height of anime’s popularity where children love to watch their favourite shows and characters on national television. “It is very famous here but when I was young I thought I was the only one who’s obsessed with anime but when I grew up I found out that the community in Doha is huge,” al-Ali noted. She also lauded Katara for organising a unique exhibition and giving local artists an opportunity to showcase their artistic skills to the people. “Most of the time we show our work on the internet, on various social media channels such as Instagram and Twitter, but to meet and let people see it in person and get feedback from them is something different,” said al-Ali, adding that her own experiences, emotions and philosophy inspire her a lot. For al-Mataowa, “the classic and traditional styles” are more appealing to him than the modern ones, especially in selecting the characters for his work. “I like the old style, the classic, because adults or old people can easily relate to it, he will feel young and remember their childhood memories when they used to watch anime shows,” he said. Al-Mataowa noted that anime also evolved and inspired many artists like him to become more creative and innovative.